Hoffenheim boss Julian Nagelsmann has revealed why he elected to sign Arsenal’s Reiss Nelson on loan. It’s fair to say that it has been a good few weeks for Reiss Nelson who made his debut for the England Under-21s. Nelson scored in each of his two appearances for England to take his tally to five goals in his last four matches. There was already a considerable amount of excitement from Arsenal fans around the youngster but that has only amplified in recent weeks. Now, Hoffenheim manager Julian Nagelsmann has explained why he decided to bring the 18-year-old to the Bundesliga in the first place. “What he brings with his tempo and his one-on-one ability, we didn’t have so much of that in the squad,” Nagelsmann explained, echoing something Nelson himself claimed when asked about the comparisons between him and Borussia Dortmund’s Jadon Sancho. “Jadon knows I like one against ones,” Nelson told the Daily Mail. He certainly has shown his brilliance in recent weeks. 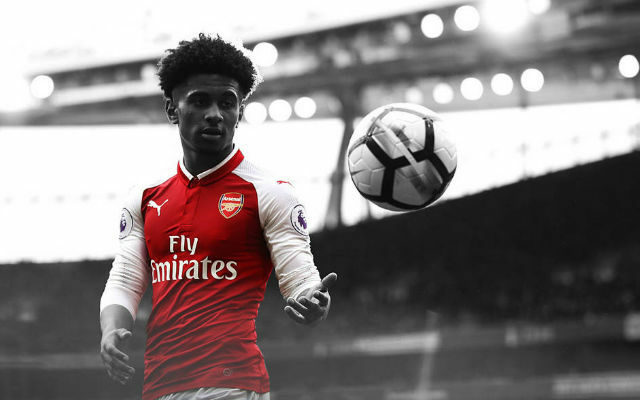 Reiss Nelson is an enormously talented prospect and is just the sort of player currently missing from this Arsenal team. If he keeps performing in this way then head coach Unai Emery won’t need to sign another attacking wide player. They won’t have Nelson available but Arsenal take on Leicester City this evening, see here for more information on how to stream the game.